This mod is for chocolate lovers. Chocolate Mod 1.6.2 and 1.5.2 is a mod that allows to craft new foos from cocoa such as, liquid chocolate, chocolate bars, milk chocolate, chocolate eggs and chocolate cakes. Even the mod author wanted to go beyond groceries and has given the possibility of producing both weapons and tools of chocolate, even armor. Not just this, we can also create new blocks of black chocolate and white chocolate, as well as fences and stairs. How to install Chocolate Mod for Minecraft 1.6.2? 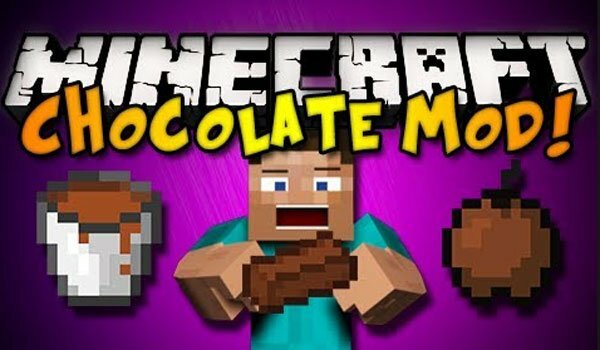 How to install Chocolate Mod for Minecraft 1.5.2?